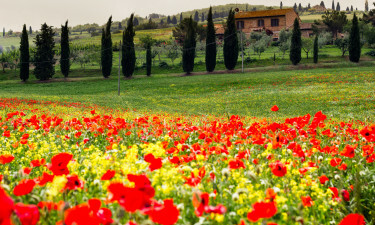 The holiday camping site of Norcenni Girasole is nestled between the cities of Florence and Arezzo. Therefore, it offers all of the sights and accommodations that one would expect during any family holiday. As luxury tents, mobile homes and bungalow tents are all offered within this luxury camping site, it has never been more convenient to relax in style. Please take a minute and contact Lux-Camp for more details in regards to what this camping holiday has to offer or to secure a reservation. This campsite is situated on a hill and is not recommended for people with reduced mobility. 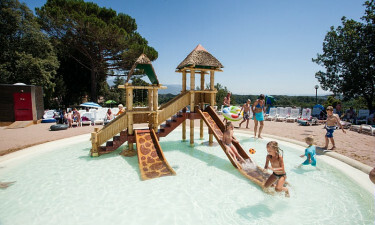 While there is always the ability to visit the shores of the Adriatic Sea, there are also a number of aquatic attractions within this holiday camping site. Expect to enjoy open-air and indoor pools equipped with water slides alongside a relaxing sauna. Play areas for children are also available and all of these are supervised by trained professionals. To learn more about these and other attractions, feel free to speak with a professional representative at Lux-Camp. Why should I choose to take my family to Norcenni Girasole? This area of Italy is quite famous for its art and natural beauty. Norcenni Girasole provides daily shuttle buses to the romantic city of Florence. 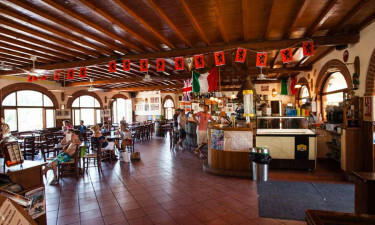 Steeped in history, visitors can enjoy the local architecture, a quiet espresso at a local bar and even Tuscan cooking courses. What better way to punctuate camping in luxury than through these activities? As mentioned previously, it is easy to enjoy this camping holiday with so many different on-site accommodation options to choose from. Bungalow tents, luxury tents and mobile homes are all options. Visitors will even be able to make use of charcoal grills for outside cooking. As should be expected, all of these pitches are found within walking distance to most of the main attractions of the park itself. From traditional delicacies to international foods, Norcenni Girasole will certainly tempt the palate. For example, the Restaurant il Vecchio provides what can only be called one of the best steaks in Italy while vegetarian cuisine at Sant'Andrea is also available. 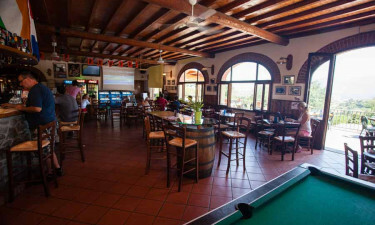 An on-site pub and disco known as the Norcenni offers entertainment for the entire family, with tasty cocktails never being far away. Live entertainment and a selection of the finest Tuscan wines should likewise not be missed. For those who wish to enjoy a quiet meal with the family while camping in luxury, a market is found within Norcenni Girasole. This will provide fresh fruits and vegetables, locally baked bread and a host of other necessities such as toiletries, international newspapers and tobacco. A few snack food outlets are also within walking distance; ideal for a quick bit before heading out on an excursion or soaking up the sun by the side of the pool.